The two volumes that comprise String Theory provide an up-to-date, comprehensive account of string theory. Volume 1 provides a thorough introduction to the bosonic string, based on the Polyakov path integral and conformal field theory. 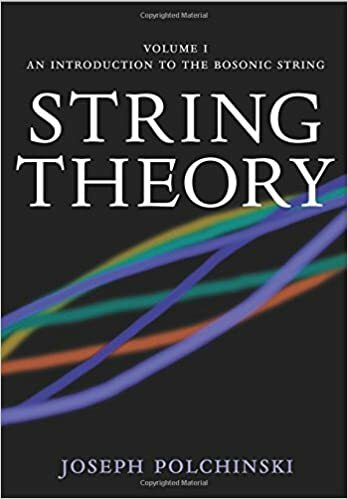 The first four chapters introduce the central ideas of string theory, the tools of conformal field theory, the Polyakov path integral, and the covariant quantization of the string. The book then treats string interactions: the general formalism, and detailed treatments of the tree level and one loop amplitudes. Toroidal compactification and many important aspects of string physics, such as T-duality and D-branes are also covered, as are higher-order amplitudes, including an analysis of their finiteness and unitarity, and various nonperturbative ideas. The volume closes with an appendix giving a short course on path integral methods, followed by annotated references, and a detailed glossary.